Microsoft’s latest operating system is now available for pre-order on its website, ahead of its launch on October 18. 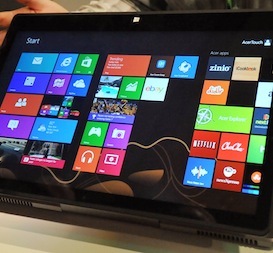 Windows 8.1 is retailing for $119.99, while Windows 8.1 Pro is going for $199.99. If you’re already running Windows 8, you’ll get a free upgrade to Windows 8.1 automatically on October 17, but any OS version earlier than that means you will need to purchase Windows 8.1. In late August, Microsoft officially wrapped up the development of Windows 8.1 and Windows RT 8.1, and announced that it had started to release both versions to hardware manufacturers. Microsoft made a huge transition with its operating system when it launched Windows 8, and naturally it came with a few flaws and shortcomings. Windows 8.1 is the first major update to Windows 8, in which the company intends to address criticism from users when this version of its operating system launched in 2011. For example, it has brought back the start button.